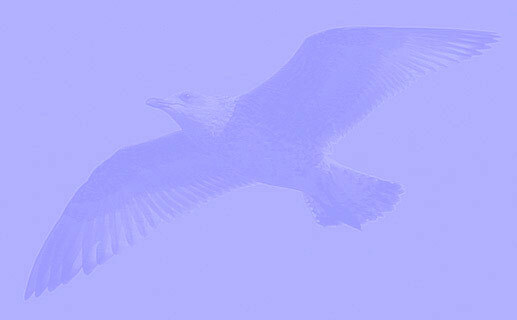 Larus cachinnans 2CY & 4CY PDSA October 2011 & February 2013, Minden, Germany & Steinach, Switzerland. Yellow PDSA and metal (PLG) DN18678, ringed as pullus on May 27 2010 at Kozielno, Paczkow, S-SW Poland, (50°29' N, 16°58' E). In this area are mixed breeding colonies (near Katowice), with far most birds breeding here are cachinnans, but in this area also records of very few michahellis from the south (e.g. 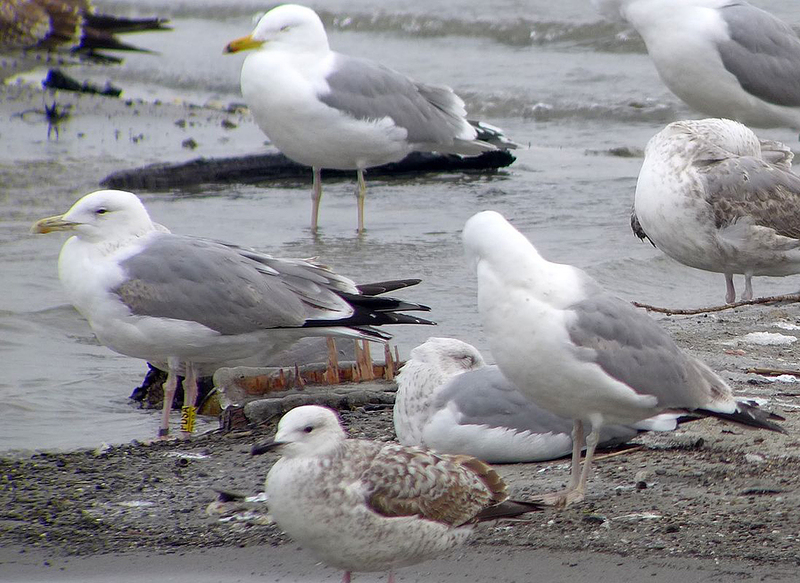 ringed female from Italy) and argentatus from eastern Germany are possible (see PDF). PDSA is classic cachinnans. below: cachinnans 2CY PDSA October 20 2011, Deponie Pohlsche Heide - Minden, Germany (52°23'05N, 08°46'45E). Picture: Armin Deutsch. Late October complete moult finished, in this bird P10 without mirror (many cachinnans have mirror on 2nd gen P10). In September-October a subsequent 'partial autumn moult' replaced several coverts and tertials: TT1-2, GC1-3, MC3,6-> and single inner LLC and LC. 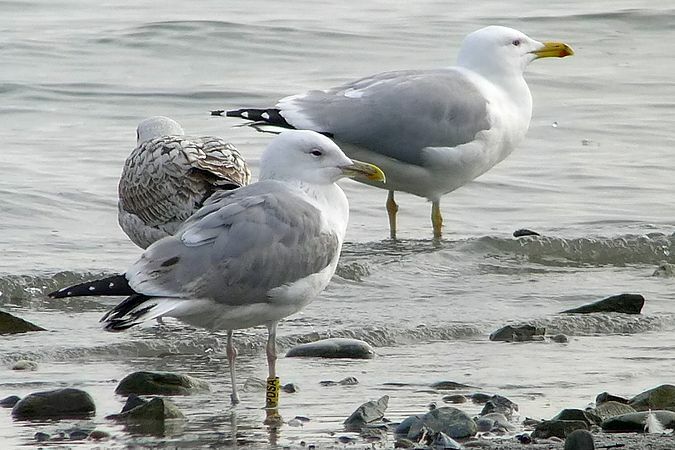 Below, first image together with 1CY argentatus from Germany. Mud on bill and ring. below: cachinnans 4CY PDSA February 11 2013, Lake of Constance - Steinach, Switzerland. Picture: Stephan Trösch. Obvious mirror on P10 and no black on bill. However, still black in tail, central tertials and lesser coverts.